Use this as a guide to visualize which of your keys are the most helpful to you. If you need to call a command in the heat of battle, binding it to “t” or “h” just is setting yourself up to fail. 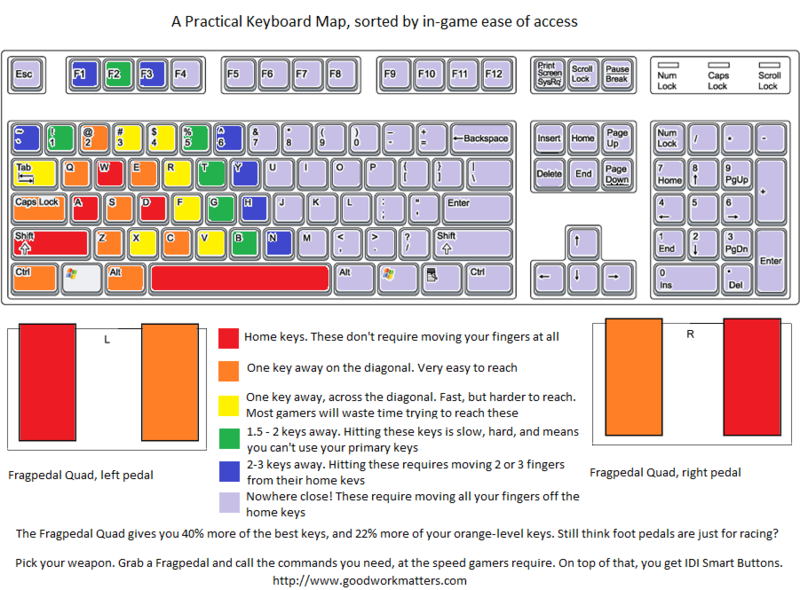 Try to move these commands onto orange or yellow keys, or map them to your Fragpedal. If you still need to access more commands instantly, look into layering your buttons with IDI Smart Buttons, like Press/Release or Tap/Press/Hold.